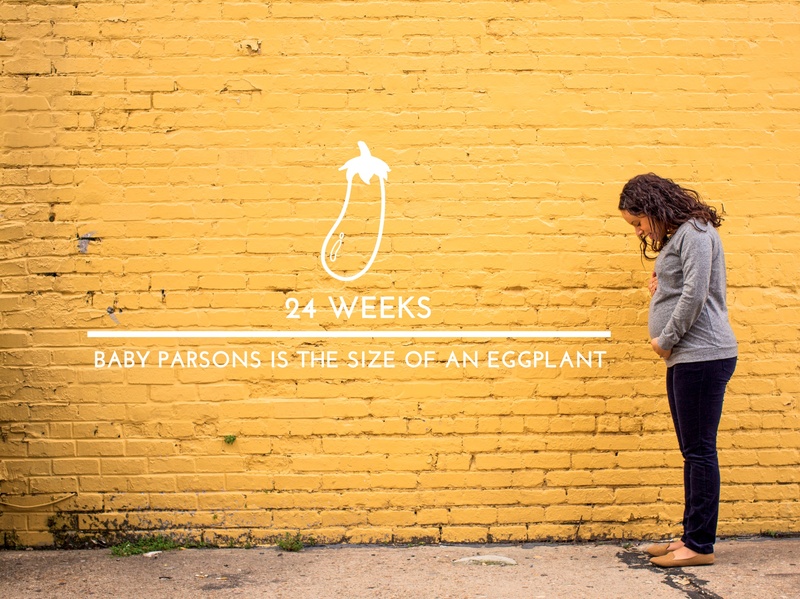 Catching up with the bump: Week 24! On my 3rd kid…oldest is 3, youngest is 10 months. All you need really is clothes, diapers/wipes (cloth is so easy now), blankets/sleep sacks and a carseat! Oh and a good carrier. Moby/Boba wraps are good early on and an Ergo is good after about 3 months! Good luck! Enjoy your sleep now…having spent the last 4 years pregnant or nursing I miss sleep more than anything!!!! Congrats and good luck! Congrats!!! I’m so excited for you :) any cravings for actual eggplants? Hehehe. I love these growth photos you post :) congratulations!